Dr. John Mayfield boasts an impressive résumé which includes an award-winning tenure at the University of Baltimore, where he served as the head of the Division of Legal, Historical, and Philosophical Studies from 1992-1995 and was named Distinguished Professor in Teaching in 1991. 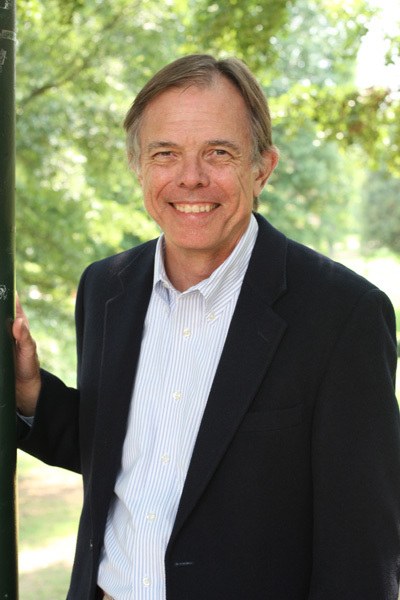 Mayfield served as chair of the history department at Samford University for fourteen years, overseeing the division of the history and political science departments, hiring many present professors, and serving as one of the principle architects of the new core curriculum. Since stepping down from the chair in 2009, Dr. Mayfield continues to teach some of the most engaging classes in the department while pursuing his extensive research interests. He has authored three books, including The New Nation: 1800-1845 and Rehearsal for Republicanism: Free Soil and the Politics of Antislavery. His most recent book is Counterfeit Gentlemen: Manhood and Humor in the Old South (2009), which was nominated for three national awards, including the Lincoln Prize. He is currently editing a volume on Southern honor and is preparing a book on secession. (Gainesville: University Press of Florida, 2009). The New Nation: 1800-1845 (New York: Hill and Wang, 1982). Rehearsal for Republicanism: Free Soil and the Politics of Antislavery (Port Washington, N.Y.: Kennikat Press, 1980). Lecturer and Commentator, "Let's Talk About It: Making Sense of the American Civil War: A Reading and Discussion Series," Hoover Public Library, January-March 2012.